Until you spread your wings wide open, you have no idea how far you can fly. ﻿﻿﻿Hatha Yoga is a style of yoga that is heart-oriented, spiritually inspiring, yet grounded in deep knowledge of optimal body alignment in the poses. Students are encouraged to listen to their body, respect it’s wisdom and never go beyond their edge. Deep relaxation/mindfulness is taught at the end of each asana practice. The intention of the instructor is to assist the students in developing a physical, mental and spiritual well-being that they can take out to the world and to bring them back to the Divine within. This adds to their health and wellness. MISSION STATEMENT: Creating a community of like-minded yogis/yoginis, so that they may become aware, courageous and mindful in their practice-on and off the mat, by providing a safe environment that welcomes each student as an individual. Deborah McEvoy started her yoga practice in 2003, to help manage the daily stress of working in a high pressure career. She is the owner and founder of Dare to Soar Yoga, LLC. Deborah is a 500 hour certified, registered yoga teacher with Yoga Alliance. In 2011 Deborah completed her 200-hour teacher certification with Southwest Institute of the Healing Arts (SWIHA) and her additional 300 hours with Yoga4Life under the instruction of Mary Bruce and Lynn Matthews in 2013. Her teaching has a strong emphasis in alignment, breathing and meditation, integrating the physical, mental, energetic, and spiritual teachings of the tradition. Deborah believes that yoga enhances the balance between body, mind and spirit, bringing health to the body and soul through movement, meditation, and the use of breath work as a way of relaxation and gazing inward. 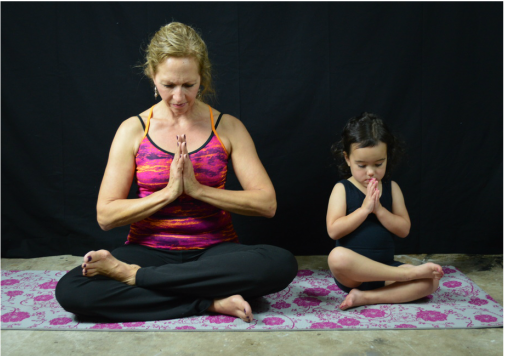 Deborah is passionate about bringing "affordable" yoga to the community of Casa Grande and in building a yoga community, where she has resided since 1980.